Effective use of tools education, science, direct services, advocacy that can achieve your objectives. This is a book for everyone who wants to get the most from a philanthropic dollar: donors, foundations, and non–profits. 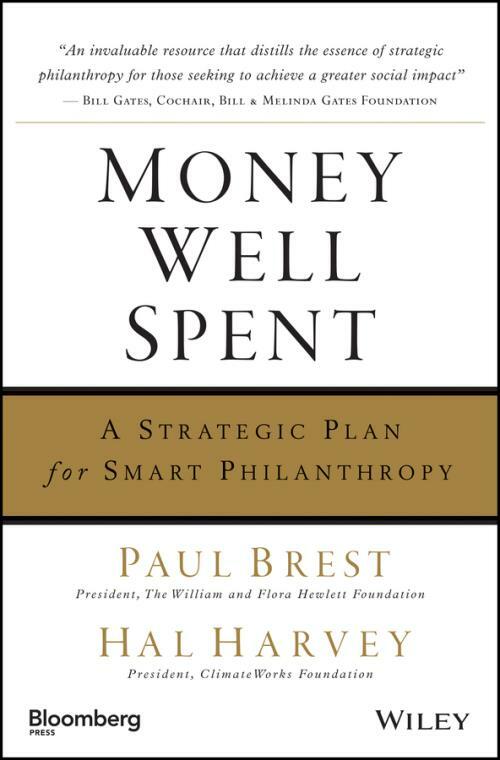 Preface.Acknowledgments.Introduction.Part I The Framework of Strategic Philanthropy. 1 The Promise of Strategic Philanthropy. 2 Choices in Philanthropic Goals, Strategies, and Styles. 3 Analyzing Problems and Developing Solutions. 4 Solving Problems Through Program Strategies. 5 Grantmaking and Due Diligence. 7 Forms of Grant Funding. 8 Mission Investments: Investing for Social Impact. 9 Assessing Progress and Evaluating Impact. 10 Impact on Steroids: Measuring the Social Return on Your Philanthropic Investment. Part II Tools of the Trade. 12 Providing Goods and Services. 13 Influencing Individuals, Policy Makers, and Businesses. 14 Building Fields and Movements. Part III Organizing Your Resources for Strategic Philanthropy. 15 Choosing the Right Structure for Your Philanthropy . 16 Principal and Principle: Foundation Spending Policies.Afterword: The Challenges of Strategic Philanthropy.